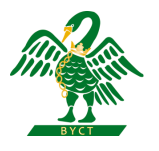 Beaconsfield Cricket Club (BCC) has been around for almost 200 years and remains a proud and passionate contributor to the community. Many thousands of pounds have been donated towards good causes over the years. This year our focus remains on Sport, Health and Schools. When you buy your tickets through your local participating school, they will receive 20% of the proceeds. BCC will be again making donations to local schools after our fireworks event in 2018. In 2016 and 2017, nine local school in South Bucks benefited from donations from the Cricket Club - The Beaconsfield School, Butlers Court School, Beaconsfield High School, Holtspur School, High March School, Davenies School, Thorpe House School, John Hampden, The Royal Grammar School. BCC is a not for profit organisation, promoting cricket, and health in the community – for girls, boys, women and men.